New initiatives, new sponsors, new post-secondary institution involvement…it’s been a good year for Minerva Canada. More importantly, it means that awareness is rising and health and safety management education is increasing because of our influence on the curriculum of post-secondary institutions to ensure that future business leaders create healthier and safer workplaces. Minerva Canada is developing an engineering student online certification program in health and safety designed to meet Canadian Engineering Accreditation Board H&S requirements. We continue to grow our Canada Engineering Student Health and Safety Teaching Modules project with the addition of new modules and access to WorkSmart Campus material. We enjoyed record attendance at our cross-country Learning Forum series – five this year – which attracted engineering and business professors and participants from industry, government, academia and health and safety associations. Our student award activities, aimed at instilling an understanding that health and safety is an integral component of their future responsibilities, continue to grow in popularity. Minerva-sponsored awards and competitions now include the James Ham Safe Design Awards, the Minerva-CIAC Responsible Care Case Study Competition, and the Inter Collegiate Business Competition (ICBC) Human Resources venue. We continually reach out to industry and organizations through presentations across the country to share the message of the importance of our mission and how to become involved. You can get details and find out about more of our activities and resources in these pages. Our many accomplishments are a reflection of the hard work, endless assistance and support from our many volunteers from industry, government, academia and H&S professional associations who make up our Board of Directors and Working Groups. I am also very grateful to our many sponsors whose continued support and financial assistance make our initiatives at Minerva Canada possible. Without this support, Minerva would not exist as an organization. As always, I welcome your comments and suggestions by contacting me at minerva@safetymanagementeducation.com. Minerva Canada Safety Management Education Inc.
At the end of the day, it’s getting the health and safety message entrenched in the minds of our future engineers and business leaders that is the imperative. And helping educators deliver that message is what Minerva is all about. To this end, and bolstered by a survey Minerva conducted of post-secondary instructors, Minerva President Tony Pasteris and Dr. Graeme Norval (University of Toronto and a Minerva Director) met with Engineering Deans across Canada in October to discuss a proposed new Minerva initiative: developing an engineering student online certification program in health and safety. The program will be designed to meet Canadian Engineering Accreditation Board H&S requirements and will contain much of the tried and true content from Minerva’s student Teaching Modules. It will comprise four modules and cover eight domains on topics such as Hazard Analysis, Risk Management, Human Factors, Designing for Safety and Safety Leadership. It will be left in the hands of Engineering Faculties to decide how to implement the program, including making it mandatory or treating it as an elective course. Students will be able to register for the four modules sometime during their four years of engineering studies and proceed at their own pace. Plans also include adapting the modules for other programs such as business and health services. Minerva is now seeking interested university and college partners to advance the development, design and implementation of the program. We plan to launch the first module in early 2019. Be sure to check on initiative updates and progress on Minerva’s website. Teaching Modules cover a wide range of topics, including Mental Health in the Workplace. Since 2004, Minerva Canada has been providing post-secondary educators with the tools and resources they need to teach H&S concepts in the classroom. Perhaps our most ambitious – and continually growing – initiative is our health and safety engineering student teaching modules, developed with support from our key academic and industry partners. Launched in 2011, the multi-phased $310,000 Minerva Canada Engineering Student Health and Safety Teaching Modules Project now boasts 25 modules, available on our website. The wide-ranging topics covered are designed to help future engineers better understand their legal, moral, ethical and societal responsibilities and properly prepare them for the workplace. 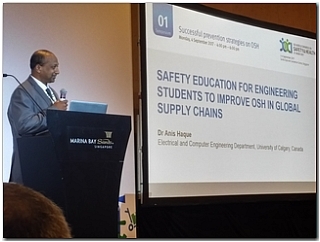 The modules are also designed to integrate smoothly into existing courses over the four years of undergraduate engineering and assist professors who may lack specific knowledge and confidence when teaching H&S. There is even a voice-over version of the Risk Management presentation, courtesy of the University of Toronto, with more of these in the works. The project was unanimously endorsed by the National Council of Deans of Engineering and Applied Science (NCDEAS), and the National Council of Deans of Technology (NCDoT). The modules are also applicable for use by any faculty at colleges and universities. Post-secondary institutions from across Canada – Dalhousie, University of Toronto, Ryerson, University of Ontario Institute of Technology, Western University, Laurentian University, University of Waterloo, University of Manitoba, Queen’s University, University of Calgary, University of Alberta, University of British Columbia, and Fanshawe College – were involved in the creation of the modules. Teams comprising engineering professors and grad students developed the modules, alongside industry experts from companies including Nova Chemicals, Trimac, Imperial Oil, Bruce Power, BC Hydro, General Motors, and Shell Canada. Mental Health in the Workplace, completed by Laurentian University student Caroline Dignard, PhD. This excellent module, available in English and French, can also be used to train employees. Vale Canada Ltd. and MIRARCO provided support for this work with input also from the Canadian Mental Health Association (CMHA). Project funding to date has been received from Mitacs, a not-for-profit organization that provides research grants to universities based on an industry need, the Ontario Ministry of Labour, DuPont Canada, Imperial Oil Limited, General Motors, Bruce Power, Nova Chemicals, Shell Canada, Erco Worldwide, BASF, CF Industries, MIRARCO, Canada Post, Chemtrade Logistics, Chemistry Industry Association of Canada, H.L.Blachford, Dow Chemical, Nexen, Glencore, the Canadian Society of Safety Engineering (CSSE), the Board of Canadian Registered Safety Professionals, and the Government of Nova Scotia. The next phase of the project is to develop H&S teaching materials that are deemed appropriate for use by business schools. All modules are free for any professor to download from Minerva’s website and use and most of the modules also have a set of questions to test students’ learning. 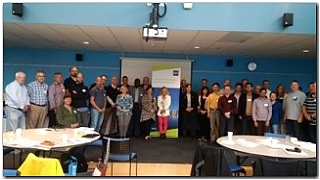 One of our flagship programs, our Learning Forum series held in post-secondary institutions across Canada, once again achieved a record reach, attracting over 275 engineering and business professors and over 50 participants from industry, government, academia and health and safety associations. First held in 2004, Minerva’s forums have had close to 1300 engineering and business professors attend. 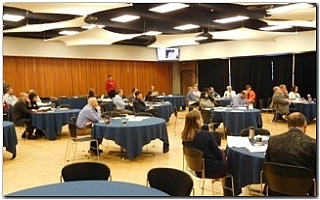 Featuring a wide array of presentations from industry, government and academic representatives, the Forums cover how Safety, Health and Environmental Management (SHE) concepts are being applied in the workplace, and provide an opportunity for participants to hear what industry and government seek from new graduates. This year’s Forums showcased many of Minerva’s new Teaching Modules and facilitated networking between schools to discuss how best to introduce health and safety management into their programs. The Forums also included panel discussions among Minerva’s stakeholders on what is needed to boost H&S in the curricula. They also heard from past graduates on why they see the need for more H&S education. The Forums also provided professor feedback to Minerva on its proposed online engineering student H&S certification program. There were five Forums held in 2017 at the University of Regina, Carleton University, Northern Alberta Institute of Technology (NAIT), St. Mary’s University and British Columbia Institute of Technology (BCIT). Here are a few comments from those who kindly hosted and helped Minerva organize the events. 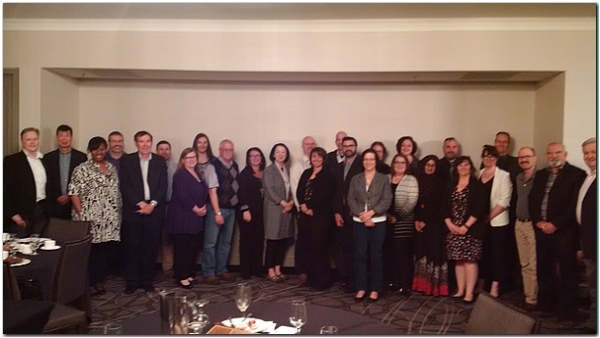 “The 2017 Minerva Learning Forum hosted by the University of Regina in April was a successful first for Saskatchewan. Some of the heralded firsts included a lawyer as the guest speaker and a student poster competition on industry safety risks and actions. The forum was truly interdisciplinary and brought together faculty, staff and students from not only the UofR, but also other Saskatchewan educational institutes (University of Saskatchewan and Saskatchewan Polytechnic), along with participants from government and industry. They were engaged discussing the culture of health and safety with a focus on transitioning from academia to industry. Note: This workshop also included many professors from Canadian colleges with Occupational Health and Safety Programs who attended the May 15-17 symposium in Halifax organized by the Board of Canadian Registered Safety Professionals, one of Minerva’s important sponsors. We extend a big word of thanks, in addition to the host universities, to the many Minerva Board and Working Group members who assisted and participated during the Forums and, of course, to Minerva’s generous sponsors who truly make it happen. Minerva Canada strives to deliver the best possible programs and materials to post-secondary instructors. To that end, we sent a web survey to 400 educators in universities and colleges across Canada who have attended Minerva Learning Forums, asking them to tell us what they thought about our existing initiatives and how we might improve on them, what their challenges are to advancing the knowledge of health and safety in the classroom, and to provide us with suggestions on how we can help. 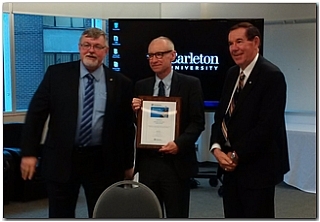 The survey recipients also included Deans and Chairs of Canadian engineering and professional (business) schools. Ninety-two percent of respondents teach or work with students. 70% of respondents made other professors/instructors aware of Minerva Teaching Modules. The same number would like to see the Modules placed on their school’s Learning Management System. Of those who teach students, 76% said their attendance at the Learning Forum influenced practices on changing what they currently teach in health and safety. Of those who were influenced, they taught on average 27 additional hours of health and safety annually. We would like to thank those readers who took part in our survey, and Ruth John, Workplace Safety & Prevention Services (WSPS), for compiling the results. Congratulations go to Senator Tony Dean, this year’s recipient of the Minerva Education Award of Honour. The award, established in 2011, recognizes individuals from academia, government, industry and health and safety associations for their long-standing contributions to advance health and safety education in Canadian post-secondary teaching institutions. A champion of workplace health and safety, and a frequent Minerva Learning Forum participant, Tony Dean was appointed to the Senate of Canada in 2016. Prior to his appointment, he was a professor at the School of Public Policy and Governance at the University of Toronto and continues his association with the School as a Distinguished Senior Fellow. “There were many of us from Minerva who were truly moved and energized (again!) 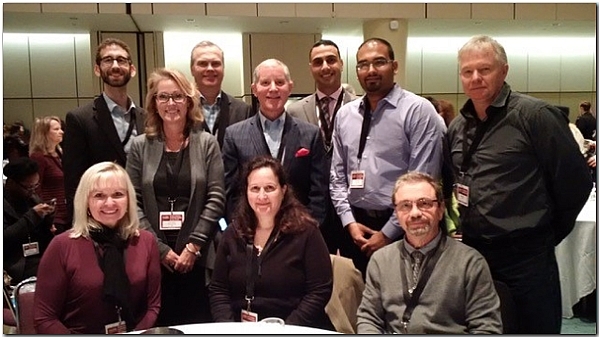 with these comments that Minerva is making a difference in developing our future leaders,” said Tony Pasteris, President of Minerva Canada, who presented the award at a dinner following the Minerva Learning Forum at Carleton University on May 4. Senator Dean has advised governments and international organizations on public service reform and building capacity for policy-making and delivery and has chaired several expert advisory panels. In 2010, he chaired an Expert Panel examining workplace health and safety in Ontario. His report, presented to the Minister of Labour in December 2010, has been described as a road map to safer work sites in Ontario. It led to the creation of Bill 160 and the creation of the Ontario Prevention Council, led by the Chief Prevention Officer. The Expert Panel provided 45 recommendations on a list of various issues to enhance health and safety in the workplace, including recommendations on advancing education and training in post-secondary and vocational trades programs. Minerva was recognized in the recommendations as a premier organization that should continue its work in post-secondary institutions. Senator Dean is also a recipient of the Order of Ontario. Four University of Toronto Engineering students who developed a new tool to help small businesses, often lacking in resources and expertise, meet process safety management system standards defined by CSA Z767 standards, are this year’s winners of the James Ham Safe Design Engineering Student Awards. Congratulations go to the team of Andrew Kostruba, Katie Dritsas, Kayla Musalem and Kenny Wei. The annual competition challenges Canadian university engineering students to make an original contribution toward integrating safety into engineering design. The award honours former U of T President and Dean James Milton Ham whose Royal Commission Report on Health and Safety led to the creation of Ontario’s Occupational Health and Safety Act in 1979. The winning U of T team also won the CSA National Academic Challenge. Prizes were presented at the WSPS Partners in Prevention Conference in Toronto in May. “It’s a supporting document that goes along with the new CSA Z767 standard, so that businesses – small ones, in particular, that lack all the resources and the time, workers and money to spend complying – can look through our exemplar and fill in what pertains to them,” adds Katie Dritsas. Second place went to University of Regina engineering students Zachary Hass, Derek Grain and Michael Taylor for designing a rapid attachment interchange system for forklifts than can reduce workplace injuries when changing forklift attachments. Their system is now in use at the company for which they designed it. The winning team was awarded $3,500 while the runner-up winner received $1,500. Students interested in entering the 2018 competition should visit www.safetymanagementeducation.com for rules, entry form and important dates. Minerva Board Members (left to right) Lynn Smith, Nina Mankovitz, Vic Pakalnis and Peter Sturm answer questions from ICBC student competitors and business professors. Congratulations go to teams from Okanagan College, Saint Mary’s, and H.K. Polytechnic universities for landing the top three spots in the Minerva-sponsored Health and Safety Human Resources event at this year’s Inter-Collegiate Business Competition (ICBC) held at Queen’s University in January. ICBC is Canada’s oldest and longest-running undergraduate business case competition, featuring eight different competitive events in which students can participate annually. It attracts close to 250 attendees, including competitors from around the world as well as judges, faculty advisors, student organizers and volunteers from over 40 universities and 10 countries. 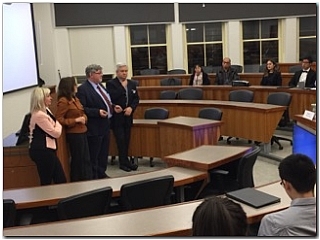 The highly popular Human Resources Venue presentations were judged by Minerva Board Members Lynn Smith, Nina Mankovitz, Vic Pakalnis, Peter Sturm, and Tony Pasteris. Brock University’s Deborah McPhee, a Minerva Board member, as well as University of Windsor grad student Stephanie Shaw prepared the case studies for both the Preliminaries and Finals of the competition. The 2016-2017 ICBC case studies sponsored by Minerva Canada are on our website. Congratulations to long-time Minerva Board Member Vic Pakalnis, President & CEO, MIRARCO Mining Innovation, Laurentian University, who received a 2017 Ontario Volunteer Service Award from the Ministry of Citizenship and Immigration. 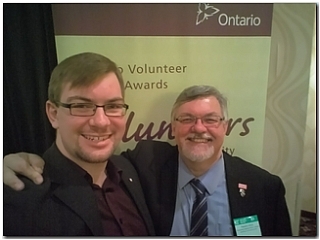 The Award recognizes individual volunteers for continuous years of commitment and dedicated service to an organization, in this case to Professional Engineers Ontario (PEO). The case study for Minerva’s second Minerva-CIAC Responsible care award was completed this summer by Waterloo University and was hosted by a Chemistry Industry Association of Canada (CIAC) member firm. A new venue has been selected for this competition. 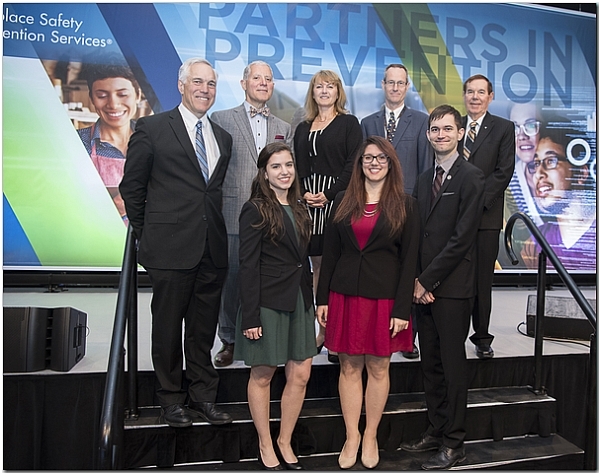 Finalists will present their solutions during one of the sessions at the May 2018 WSPS Partners in Prevention Conference, in Mississauga, Ontario. “Competitions like this one, especially when in association with a respected industry association like the Chemistry Industry Association of Canada, really help raise awareness among tomorrow’s leaders about the importance of health and safety,” commented Minerva President Tony Pasteris. The new case study for the Minerva- CIAC Responsible Care competition, along with the competition guidelines, will be sent to all Canadian Engineering Schools in January 2018. WSPS, the organization that supports the workplace health and safety needs of over 165,000 businesses that employ more than four million Ontarians, celebrates its 100th anniversary this year. And Minerva Canada would like to celebrate right along with it. Our two organizations enjoy a long and fruitful history together; the WSPS has supported Minerva Canada almost from the very beginning, partnering with it in 1991, back when WSPS was still the Industrial Accident Prevention Association (IAPA). Visit www.wsps.ca/About-Us/Safety-100.aspx to learn more about the history of the WSPS. 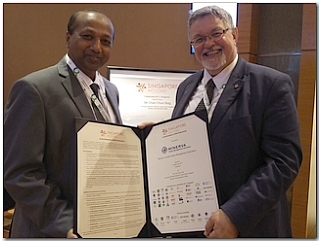 Minerva Canada made a big splash on the world stage earlier this year at the World Congress on Safety & Health at Work, held in Singapore in September. The Congress is held every three years in a different host country. It offers a platform for the exchange of information and views to experts in occupational safety and health, representatives of enterprises and workers (the social partners), decision-makers in governments and public authorities, and anyone else active in the area of occupational safety and health. Minerva was asked to be a signatory to the Singapore Accord, a commitment to improving OH&S professional and practitioner capabilities so they may more effectively guide and lead the creation of healthier and safer workplaces. Minerva Board members Anis Haque and Vic Pakalnis were there to represent Minerva for signing ceremonies of the Accord. In addition, Minerva enjoyed great visibility in a variety of presentations, including one by Anis and a joint paper presented by past IAPA President Maureen Shaw and Lisa McGuire, CEO, BC Manufacturing Safety Alliance. The joint paper, Innovative Strategies to Engaging Senior Leadership in Canada, was prepared by Maureen, Minerva’s Tony Pasteris, BC Safety Alliance and the University of Regina’s Sean Tucker. Senior Instructor and Associate Head, Electrical and Computer Engineering Dept. President, Turner Safety Systems Ltd.
Minerva welcomes Dr. Sue Bruning, Professor, Department of Business Administration, I.H. 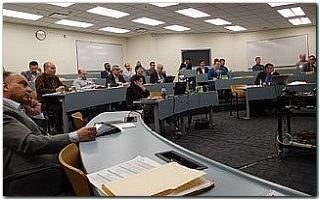 Asper School of Business, University of Manitoba, Dr. Ron Pelot, Assistant Dean – COOP, Professor- Industrial Engineering, Dalhousie University, and Dr. Don Petkau, Faculty of Engineering, University of Manitoba. We look forward to their contributions that will further strengthen Minerva Canada. We also welcome back Priya Khabre, Executive Assistant to the WSPS President and CEO, as Minerva’s Meeting Coordinator. We extend a heartfelt thank you to outgoing Board Members Doug Ruth, Associate Dean, Design Education, Faculty of Engineering, University of Manitoba, Renzo Dalla Via, President, R. Dalla Via Environmental Health and Safety Consulting Ltd and to our Meeting Coordinator Joyce Carrington. “I am very pleased that Doug and Renzo have agreed to remain as part of our Working Group Committee. Both have been strong supporters and, more importantly, ambassadors for Minerva wherever they were. Since coming to Minerva, I always knew I could count on both of them for very sound advice on so many of Minerva’s programs and activities. I also thank Joyce for doing so much of the ‘behind the scenes’ work for Minerva and wish her a happy retirement,” says Tony Pasteris. Minerva Canada’s sponsors from industry, academia, government and health and safety associations include a growing list of organizations committed to principles that combine efficiency and productivity within an effective Safety, Health and Environmental (SHE) management culture. Minerva Canada was initiated in the mid ‘80’s from Project Minerva, first started in the USA by the National Institute for Occupational Safety and Health (NIOSH). We extend a special note of appreciation to the five founding sponsor organizations of Minerva Canada, with which we continue to enjoy a fruitful relationship. Two case studies, prepared for ICBC 2016-17, Harvesting Disaster at Rock River Farm and Greenbelt Trucking, are also available on Minerva’s website. A draft of the University of Calgary work for Minerva to develop a H&S Chapter and mini case studies for Business School books has been completed and will be placed on Minerva’s website once it’s been finalized. We appreciate your feedback. Tell us what you think at minerva@safetymanagementeducation.com. Minerva Canada gratefully acknowledges the support of Ontario’s Workplace Safety and Prevention Services for the design and printing of this Annual Review.